Mini-Mech Mayhem is a deeply funny table-top VR battle game for up to four players online. Team up with your lil’ Mech buddy to plan a flawless strategy, then marvel at just how wrong you were! Not to worry: play some power cards to get your team back on track, or dare to trust in your instincts and crafty skills, and pull off a stunning win! Visit landmarks as you’ve never imagined them before, while exploring the world as not one, but two bottlenose dolphins—Jupiter and Mars—who have been enlisted by a global network of ancient whales known as the Elders to infiltrate abandoned, man-made bases, and shut down the remnants of this still-functioning technology that plagues the oceans. Rescue sea life trapped in plastics and oil spills, and meet fantastic underwater creatures along the way. Have you ever wondered what it would be like to have a falcon pet to go on adventures with you? How about a falcon that you can fist bump while wearing a bowler hat, as well as hunt, and help you battle robot colonizers while giving you unconditional love? In Falcon Age, a first-person, single-player action adventure you can do all of that plus a whole lot more. You play the role of Ara, a young falcon hunter fighting for the resistance to reclaim her home land and her cultural legacy. You bond with a baby falcon at the beginning of your journey and with her help, you both escape a colonizer prison. Falcon Age can be played in both PS VR or non-VR version on PS4 with either a DualShock4 or two PS Move controllers. Claim command over the VR battlefield! Put the power of a full army – even dragons – at your fingertips in Skyworld, the award-winning RTS/TBS wargame for VR from the creators of Arizona Sunshine. Developed from the ground up for VR, Skyworld puts you at the helm of a kingdom at war. Build and command your forces right in the VR world, conquer all Skyworlds in a royal campaign, and wage war against friends in online multiplayer. From the co-creator of Rick and Morty comes Trover Saves the Universe. Your dogs have been dognapped by a beaked lunatic named Glorkon who stuffed them into his eye holes and is using their life essence to destroy the universe. You’re partnered with Trover, a little purple eye-hole monster who isn’t a huge fan of working or being put in the position of having to save the universe. Only you and Trover can save everything in this bizarre comedy adventure created by Justin Roiland! Everybody’s Golf VR marks the VR debut for the much-loved franchise, letting players step into the shoes and score hot shots across the course. 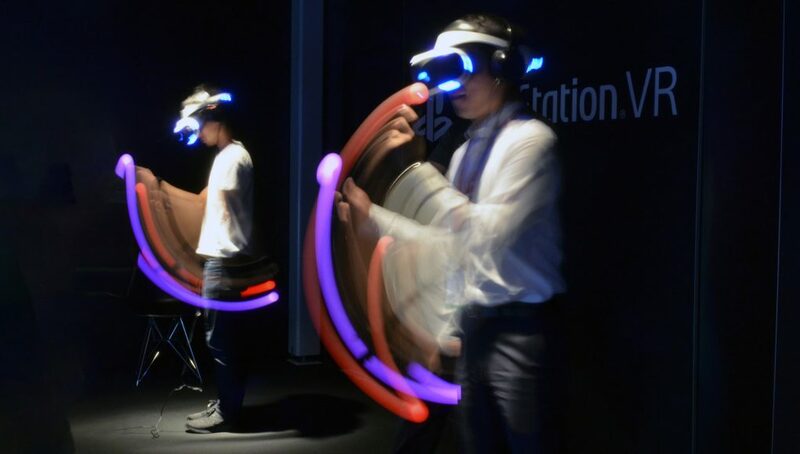 For the first time ever in the series, players will be able to see the uneven terrain, read wind direction, and experience the nature of the golf course all with their own eyes – a 360 degree VR experience made possible by PlayStation VR. Table of Tales is an enchanting roleplaying adventure inspired by the nostalgia of classic tabletop games. If you’ve ever sat at a table with a fresh character sheet in one hand and a handful of dice in the other, then you’ll love what Table of Tales has to offer. Take control of a party of Scoundrels and lead them through the myriad dangers and wonders of the Crown Islands! Rediscover the true meaning of ‘time off’! Experience the vibrant world of Vacation Simulator and make real memories of a simulated vacation in the next quirky VR adventure from Owlchemy Labs. Become the protector of the lonely little boy Louis and build his trust by helping him overcome big – or even gigantic – obstacles in this heartwarming tale. 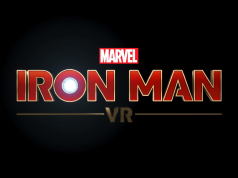 Coming to PlayStation VR April 16! In Golem, you enter a mysterious storybook world and take the role of Twine, an adventurous kid who has been seriously injured in an accident. Even though you are unable to leave your bed during your recovery, you never stop dreaming of exploring the outside world. That is, until you discover that you have the ability to create and control stone creatures called golems, seeing through their eyes and controlling their actions. Indie developer Funomena’s award winning title Luna is coming to PS4 (and PSVR) with a new guided voiceover narration enhancing the same magical story. Luna is a storybook fairytale brought to life, telling a parable of why the moon changes shape, after a small red bird swallows up the final sliver in the sky. You will help guide Bird on its journey to restore the moon, by solving meditative puzzles and gardening worlds back to life. 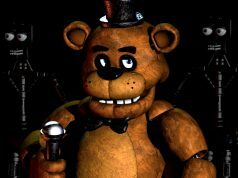 Five Nights at Freddy’s VR: Help Wanted is a collection classic and original mini-games set in the Five Nights at Freddy’s universe. Use either DualShock 4 or two PS Move controllers to interact with door and light controls in the offices, pick up objects in the repair games, press buttons on the video switcher, solve puzzles, or activate your flashlight. Microsoft in the meantime claims VR is not doing well and they are not interested in it. Microsoft should fire all losers responsible for Windows Mixed Reality management. 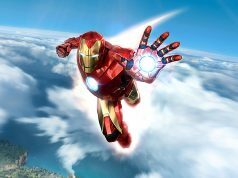 Device driver and two simple home maps Cliff House and the other is not everything Microsoft could have done. They did nothing beside that. If not Steam VR, Windows Mixed Reality would die instantly. STUPID MICROSOFT!!! People bought WMR for hundreds of dollars and the idiotic company is ignoring their own customers doing nothing for WMR! Even headsets were produced by other companies who took it all on them. The CEO of Microsoft is clearly a loser who does not know how to manage and create products. He and his puppets should be fired. Also that MS guy who talked to the media WMR did not meet their expectations. 10% users on Steam use WMR. Only because of Steam VR. Not because Microsoft. I am so mad at Microsoft. Sony PSVR doing well, while Xbox does not have VR even. Can’t understand this stupidity from Microsoft. they have hololens bro, they’re making their money elsewhere. Hololens is ZERO compared to millions of VR headsets sold. Hololens is thousands of headsets. WMR is hundreds of thousands or soon millions of headsets. their military contract would beg to differ…..
selling 1 holo equals about 10 of their other headsets being sold….